BlackBerry announced Wednesday it would halt in-house production of smartphones, marking the end of an era for the once-dominant Canadian tech firm. Ontario-based BlackBerry said it had reached a deal to outsource production of its phones to an Indonesian partner, and would instead concentrate on software and services. 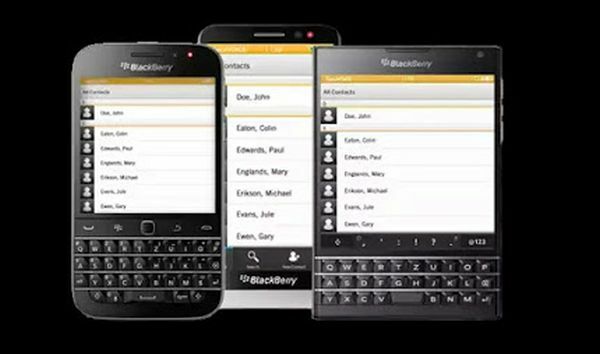 Handsets with the BlackBerry name will be produced under license by PT Tiphone Mobile Indonesia Tbk, a statement by the firms said. BlackBerry, which a decade ago was among the world’s largest smartphone makers, has seen its global market share slip to less than one percent as Apple and Android devices have dominated. As the market shifted, BlackBerry has sought to refocus on software, including security applications, and the latest announcement takes the company out of the handset market entirely. “We are reaching an inflection point with our strategy. Our financial foundation is strong, and our pivot to software is taking hold,” said chief executive John Chen, pointing to a doubling of software revenue in the last fiscal year. The Waterloo, Ontario-based company has made several efforts in recent years to find new customer niches as its smartphone handset sales continued to stagnate in the face of competition. It had hoped its first Android-operating smartphone launched last year would help restore the company to its former glory. But the company has continued to bleed red, posting on Wednesday a US$372 million loss in its second quarter ending August 31. Revenues also fell to US$334 million, from US$490 million during the same period last year. The company did not report details on its smartphone shipments. “The devices business has been a distraction for both BlackBerry and investors for a number of years now,” International Data Corporation analyst John Jackson told AFP. The end is “good news,” he said, noting an uptick in BlackBerry’s stock price in morning trading. Shares rose more than four percent to US$8.22 in New York at 11:00 am local time (1500 GMT). This price, however, remains far below a five-year high set in October 2011 of US$23.97. Originally known as Research in Motion, the company introduced its first internet-connected devices in the early 2000s, and earned a dedicated following of “CrackBerry” addicts. But its luster faded with the introduction of the iPhone in 2007 and the large number of low-costs Android handsets that followed. By moving out of hardware, BlackBerry can focus on its various business services such as messaging, cybersecurity and tracking connected devices. However analyst Michael Walkley at Canaccord Genuity said the new strategy has risks as well. “We believe the lowered focus on hardware could have an adverse impact on its installed base of loyal BlackBerry hardware customers, potentially switching to new software and security solutions on competing smartphones over time,” he said in a research note.